Scion Antenna. Shorty or Shark Fin Antenna for Scion Models. Choose from Scion Antennas by Agency Power, Blox, Beat-Sonic and More. Antennas available in numerous Factory Paint Colors as well as Unpainted and Carbon Fiber Versions. 13+ Scion FRS Antenna. Shark Fin Antenna for Scion FRS. Choose from Beatsonic and others. 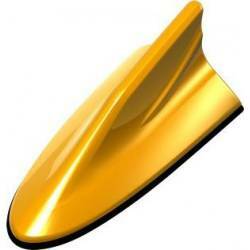 FRS Shark Fin Antenna by Beatsonic is available in multiple versions and endless color options. Enhance the look of your FRS with a Shark Fin Antenna. 12+ Scion iQ Antenna. Shorty or Shark Fin Antenna for Scion iQ. Choose from iQ Antennas by Agency Power, Blox, Beat-Sonic and More. Antennas available in numerous Factory Paint Colors as well as Unpainted and Carbon Fiber Versions. 05-10 Scion tC Antenna. Shorty or Shark Fin Antenna for Scion tC. Choose from tC Antennas by Agency Power, Blox, Beat-Sonic and More. Antennas available in numerous Factory Paint Colors as well as Unpainted and Carbon Fiber Versions. 11-15 Scion tC Antenna. 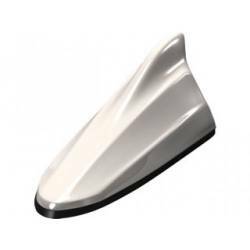 Shorty or Shark Fin Antenna for Scion tC2. Choose from tC2 Antennas by Agency Power, Blox, Beat-Sonic and More. Antennas available in numerous Factory Paint Colors as well as Unpainted and Carbon Fiber Versions. 04-06 Scion xA Antenna. Shorty or Shark Fin Antenna for Scion xA. Choose from xA Antennas by Agency Power, Blox, Beat-Sonic and More. Antennas available in numerous Factory Paint Colors as well as Unpainted and Carbon Fiber Versions. 04-06 Scion xB Antenna. Shorty or Shark Fin Antenna for Scion xB. Choose from xB Antennas by Agency Power, Blox, Beat-Sonic and More. Antennas available in numerous Factory Paint Colors as well as Unpainted and Carbon Fiber Versions. 08+ Scion xB Antenna. Shorty or Shark Fin Antenna for Scion xB2. Choose from xB2 Antennas by Agency Power, Blox, Beat-Sonic and More. Antennas available in numerous Factory Paint Colors as well as Unpainted and Carbon Fiber Versions. 08+ Scion xD Exterior Parts. Aftermarket Exterior Upgrades for Scion xD. 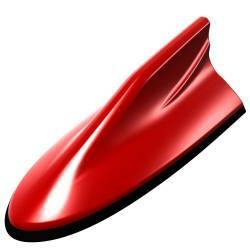 Choose from Body Kits, Bumpers, Side Skirts, Hoods, Side Window Visors, Trunks, Fenders & More. Show quality looks and functionality with xD Exterior Parts. 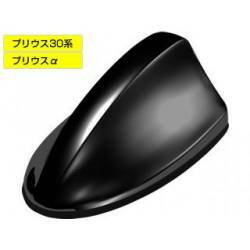 Description: FDA5 Beat-Sonic Shark Fin Antenna for 08+ Scion iQ, xB2 & xD. 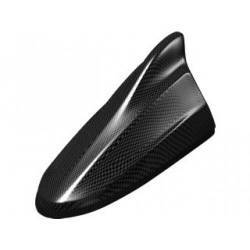 Shark Fin antenna specially designed and manufactured for 2008-Present Scion iQ, xB and xD models. Directly replace Scion iQ, xB and xDs rear roof antenna for easy installation.